Provides a quick, body-friendly burst of brain-enhancing energy without the jittery caffeine vibe. Works at the cellular level, supporting mitochondrial health and efficiency to help the power plants in your cells create energy. What would you consider an unfair advantage? 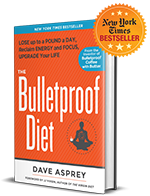 How about a quick, body-friendly burst of brain-enhancing energy? 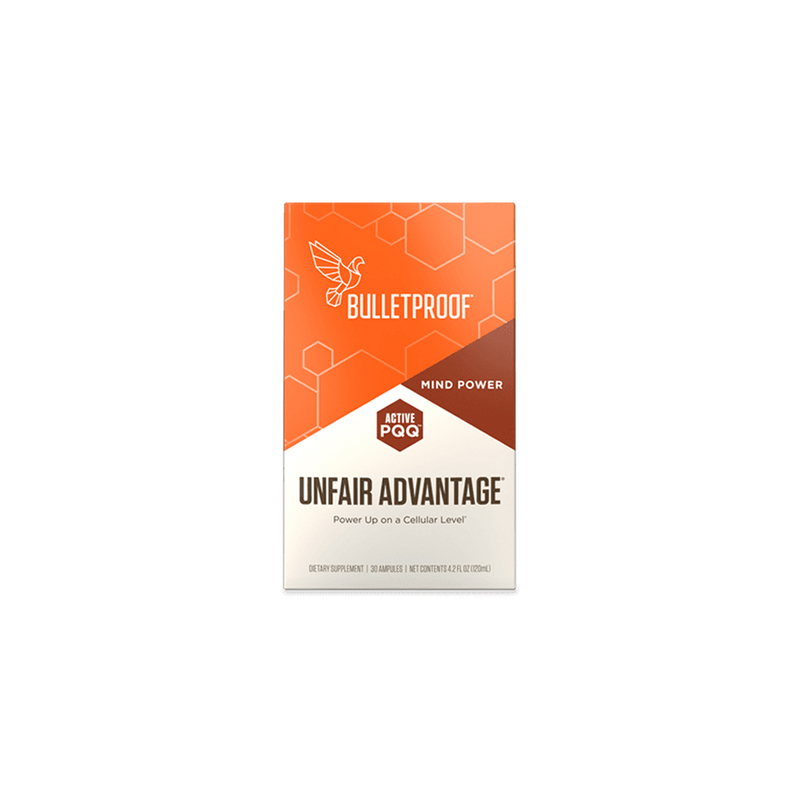 Call on Unfair Advantage anytime you need a boost without that jittery caffeine vibe. Unfair Advantage works on the cellular level. It supplies your mitochondria with the raw materials they need to repair themselves and power your body at full-blast. The result is amazing: clean, focused energy that can only be described as feeling on your game. It’s just you being awesome. Unfair Advantage pairs Active PQQ (a unique composition of Pyrroloquinoline quinone) with CoQ10 in a synergistic energy formula. 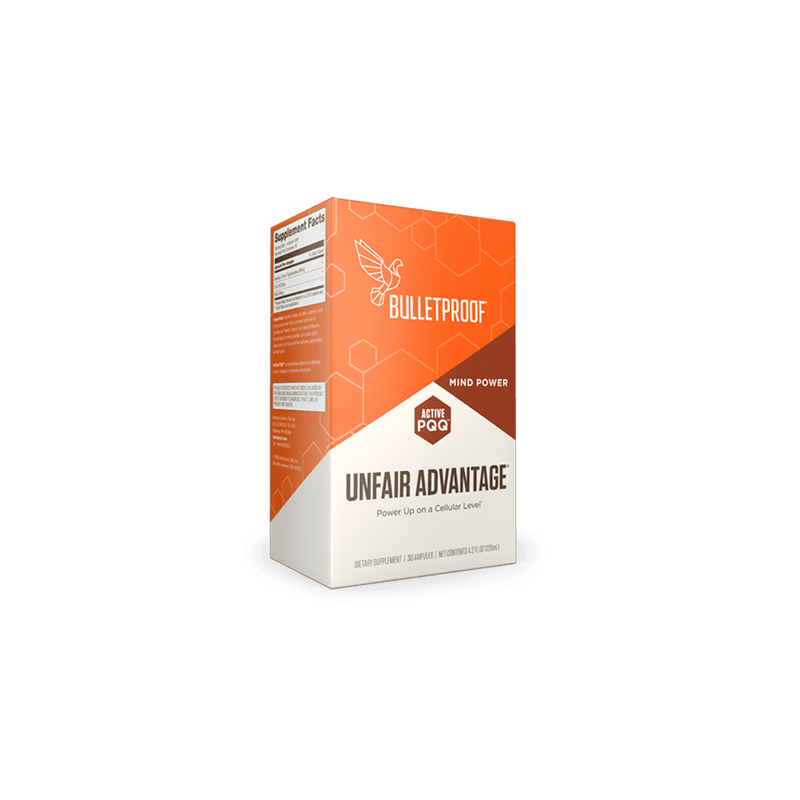 Unfair Advantage uses a proprietary liposomal delivery system designed for maximum bioavailability using Brain Octane® oil and a blend of other special fats so your body will preferentially absorb them, which means a noticeable effect so you can perform your best. 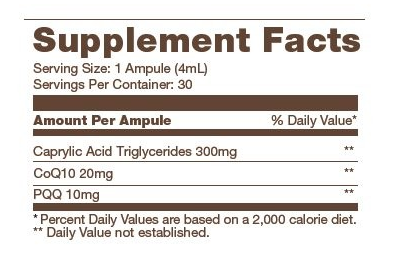 Ingredients: Ingredients: Purified water, glycerin, caprylic acid triglycerides from highly refined coconut oil (Bulletproof Brain Octane oil), natural flavors, phosphatidylcholine, palmitic acid, oleic acid, ubiquinone, pyrroloquinoline quinone, gum arabic, xanthan gum. All ingredients are non-GMO, product contains no fillers, dyes or other junk. Active PQQ™ is a special form of PQQ that’s encased in a lipid blend including Brain Octane oil to support enhanced absorption. Common PQQ supplements available at your local health food store are in the disodium salt form of PQQ, which is well studied in animals with positive effects, but the effects are dramatically reduced for humans because this particular form precipitates out in an acidic environment like your stomach. This means you don’t absorb it effectively, and don’t feel the effects you should. The Active PQQ is then paired with CoQ10, a well known enhancer of mitochondrial function to increase the overall effects. Both CoQ10 and PQQ occur naturally in the body, and are integral to good mitochondrial function and cellular energy production. There is nothing quite like the feeling you get when your mitochondria turn on. This is the cellular energy that affects your brain first, where you have a very dense amount of mitochondria. Unfair Advantage™ also increases mitochondria biogenesis, your body’s ability to create new, more effective mitochondria. This means that your body will understand that it will benefit from having better power plants in your cells, and will clear out old mitochondria and replace it with new mitochondria. It also boosts energy production and function of existing mitochondria. GREAT ENERGY BOOST FROM UNFAIR ADVANTAGE. Originally, I bought this for myself. After bragging about how awesome it made me feel, my 22 yo son started taking it before his CrossFit workouts. He has expressed the intense energy boost he gets and is able to blow through routine in no time. Great product! He hopes to continue using the product during military basic training. I love this product!! I take one every morning to get my day going. I feel focused and clear headed, it also does a great job of reducing my stress/anxiety. If I am going for a workout, I take two. I am someone who has always suffered from brain fog, crashed in the afternoon and had difficulty focusing. This product has completely changed my day to day productivity!! I have said this before. Pqq make me feel a beam of light through my body, blowing out the top of my head, makes my hair look great. Super powerful for its size, very impressed. Very predictable come up with long lasting peaking effects of euphoria. I’ve used up to 8 ampoules with some overwhelming, almost psychedelic, side effects. Highly recommended. I began taking this on the advice of my naturopathic oncologist and now I’m addicted! I take Unfair Advantage in the late morning a few times a week and it feels fantastic. Keeps me energized in an even way all day. Love this product and what is doing for how I feel and how it’s affecting my mitochondria! We have great energy. We notice more clarity. We highly recommend this product. We have tried many of Daves Products. We really like and enjoy them all. We have not come across anything we didn’t like. We have great respect for Dave for being a self biohacker. THANK YOU DAVE!!! Unfair Advantage really is unfair to those who don’t have it. Each vial provides a boost without any crash or jitters. Brings me to a nice level place. Helps me with focus. Especially great for that mid-afternoon slump! I often carry one or two in the fifth pocket (watch pocket) of my jeans.